Who are you? Where are you coming from? OK, I just checked my stat-meter, and the past two days I've had a big increase in visits. Usually, my meter thingy tells me where y'all are coming from. But this time, it's lots of "unknowns" and addresses that don't mean anything. Please! Tell me who's sending you here! I was "in the office"--meaning downstairs--at 9. Or thereabouts. Made coffee. Finished my homily while taking some calls and returning some. Confessions at 11. When the folks finish the Rosary, that means I need to be vested, because it's almost time for Mass! I motored up to the sacristy with a few minutes to spare. Offered the Holy Mass at Noon. After Mass, I had to hurry out to our seminary. The Archbishop gathers the employees from the central office once a year for a day of reflection. I explained I had duties in the parish, and he understood I wouldn't be there till 1 pm. At the seminary, one of our many fine faculty, Father Earl Fernandes gave a brilliant talk about the Year of Faith. I'm sorry I missed the earlier talks. After that, Mass in Saint Gregory Chapel. First time I've been there for Mass in seven or eight years. Father Fernandes and Father Kyle Schnippel--both of whom were in the seminary about the same time as me--were there. It was neat offering the Holy Mass with them. And, frankly, there's something pretty powerful about offering the Mass with the Archbishop. What I mean is, he's the bishop--a priest's priesthood is complete in the bishop. Most of the time, we offer Mass, mindful of him, but off on our own. Being able to offer Mass with him, is very meaningful. We finished a little after three. I needed a haircut, and thought about getting it then--but I had a wedding rehearsal at 4:45 to prepare for, and didn't want to cut things close. Headed back, just to be safe. Not sure why, but driving down Salem Avenue--it was raining--I hit a slick patch. My car spun around! I'm going to have my tires checked. Thank Almighty God no harm, but I gave some thought to a little whiskey when I got back, to calm my nerves. I decided not to; instead I said a prayer of thanks to God for watching out for me. Back at the parish, I had a number of things to get ready for the rehearsal, plus some calls to make. My first wedding at Saint Rose, and--to be candid--I needed to walk through things on my own, because it's a little different from Saint Mary and Saint Boniface. I didn't want to be uncertain or confusing in my guidance to folks at the rehearsal. Oh, did I mention that, because there was a wedding at Saint Rose tonight at 6:30, our rehearsal--for a wedding tomorrow--had to hurry along? Everything went well; thankfully, the couple didn't want to have eight couples come down the aisle. Nothing against that, but the truth is, the hardest thing to rehearse, the thing that takes all the time, is that opening procession. I have an axiom: the fewer bridesmaids and groomsmen, the less stress the wedding will be (for everyone). Seems to be holding true, so far. As we're finishing up, folks are starting to arrive for the wedding afterward. God help the priest who causes any bride unhappiness! We wrapped up; shortest rehearsal I've done so far. The photographer was a little anxious, but the bride was calm. A little business after that, then down to Newport for the rehearsal dinner. Those can be fun, and this one was. These were two families who seemed to be at peace, and happy to be together. I had some good conversations with folks, and the couple--who are a little more mature--put on a great party. I got home about a half-hour ago. Now I'm watching a little baseball. I hate to root for the Giants, but--I figure, the only consolation to having the Reds lose in the playoffs, is if they lost to the World Champions, not an also-ran. Oh, and I did I mention what a day I have tomorrow? I have confessions at 11, Mass at noon, wedding at 2, Mass at Little Flower in Mt. Airy at 4:30, then back to the parish at 6 for a party for the seminarians. Who knows? I may see if I can get that haircut in the morning. and it says it was given him. As the elections approach, we need that gift. Our candidates need that gift. what it would look like if our Catholic values “won” this election. but which set of values? I want to share a few things from his letter. that not all the issues are created equal. while others are matters of life and death. For example: the duty to care for the less fortunate. That is a non-negotiable value. if we forget the poor, we will go to hell. This is something we can legitimately disagree over. There is no time when they are OK. Religious liberty is also a non-negotiable issue. and abortion drugs as part of our health plans. The government has no business forcing anyone into that situation. A third non-negotiable issue for Catholics is marriage. This is redefining what family is; what right and wrong are. is not a reason to go further the wrong way! Turn around! Let’s be very honest; most of us are biased. and we tend to assume the worst about the other guy. But if we really did that…think of it! endorse things that are intrinsically evil. If that means voting for a third-party, so be it. Others will say, you have to go for the one who endorses less of it. because we cannot control that. But we will answer for the use of our vote. My one vote—doesn’t sound like much—but it’s mine. I can cast it anyway I choose, in private. will he agree with the reasons we cast it the way we did? 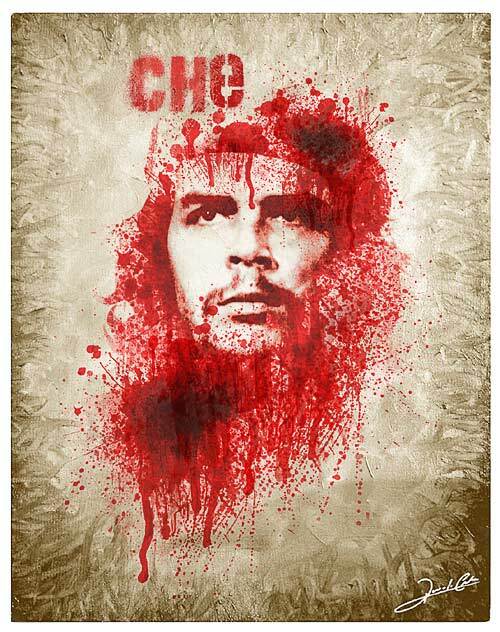 Pray for the victims of this bloodthirsty thug, and for all the misguided fools who wear Che shirts without the slightest idea what it means. today’s readings answer the question. But there’s something to clarify. we aren’t basing that primarily on the Bible. Instead, we refer to “Natural Law.” What’s that? simply with the power of observation and the use of reason. Just as we know that the eye is for seeing and the ear for hearing. family and marriage, all go together. Even without the Bible we can see the harm of breaking it all apart. So let’s apply all this. must respect God’s design and remain open to the gift of life. as it applied to birth control pills. It’s true this involves sacrifice. that requires husband and wife to work together. It expresses reverence for how God designed our bodies. no marriage can be successful without sacrifice and dying to self. are much less likely to divorce. even many Catholics do not follow this. then the government has violated our religious freedom. for our Catholic hospitals, schools and charities next summer. over what the law says about marriage. Marriage isn’t merely a religious institution, but a basic unit of society. When government redefines marriage, it redefines family. In fact, it seeks to redefine what is right and wrong. As divorce laws made a hash of marriage. But we didn’t. and that’s what marriage is. We may feel alone speaking these truths. But we as Catholics have seen a lot of societies come and go. through bitter experience, to be a false promise. Christ promised to be with us until the end of time. Tonight I offered Mass at Our Lady of Victory Parish on the west side of Cincinnati. As tomorrow is the Feast of Our Lady of the Rosary (the newer name), it is a feast for the parish, superseding the Sunday observed by everyone else. That means different readings as well. In short, my friend the pastor snookered me into having two homilies to write for this weekend! What is this feast we celebrate today? This involves a trip into history. they had a “Wayback machine.” Let’s step in! We go back to the year 1571, 431 years ago. at St. Augustine, Florida, wouldn’t happen for another 11 years. have been termed a “world” war. of north Africa, the Middle East and Europe. most likely Italy and Germany. it seemed nothing could stop them. to form a “Holy League” to defeat the menace. and the hero, Don John of Austria. all about heroes and battles and great moments in history. the President will give a speech to Congress. asking them to make holy hours, and to recite the Rosary. was praying the rosary in the basilica of Saint Mary. off the coast of Greece, in the Gulf of Lepanto. and it happened on this very day. and by a miracle, Pope Pius, far away in Rome, knew it instantly. which later was changed to Our Lady of the Rosary. the victory the Lord won, for us, over sin and hell. The first defeat came in the Garden, so long ago. to ask her help—just as Pius V asked her help, 1,500 years later. as what Don John and his forces faced at Lepanto. at the hands of militants acting under the banner of Islam. despite that violating our religious liberty. his crusade was foolish; he was fighting the inexorable hand of history. to turn the course of history. 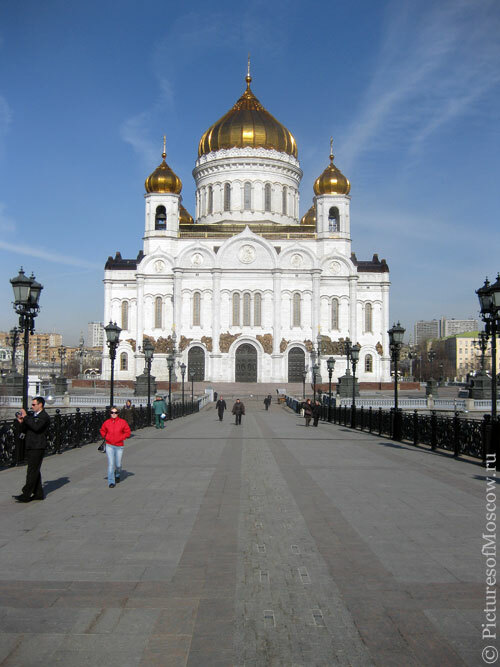 Mary asked the world to pray the Rosary to convert Russia. The Rosary stopped it—without firing a missile. we will hear the same voices, telling us to give up. Yet we have the same weapon, Mary’s Rosary. And she will win the Victory! 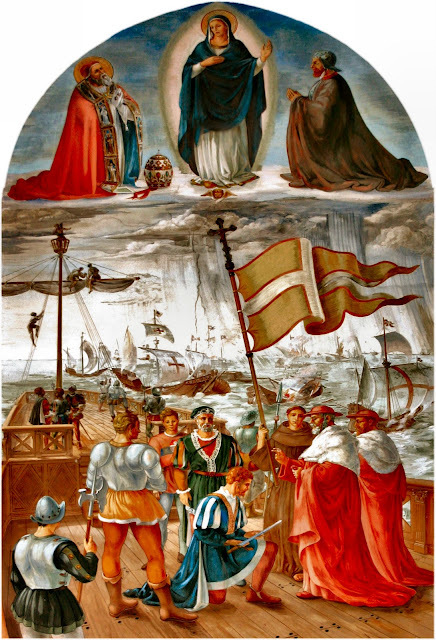 Sunday is the Feast of Our Lady of the Rosary, aka Our Lady of Victory, commemorating the Battle of Lepanto in AD 1571. In anticipation of that, here is G.K. Chesterton's stirring poem about that battle.